We're celebrating Harvest this week with some seasonal sensory play. 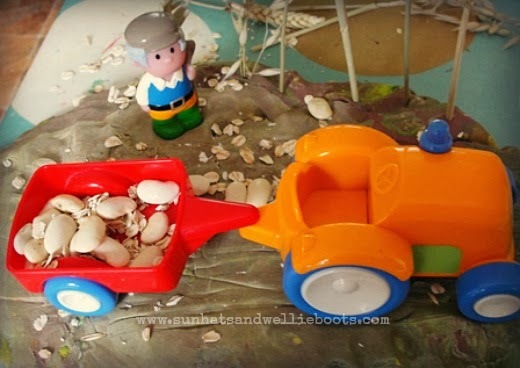 We've had great fun with this farm play dough, just perfect for sowing & harvesting crops! 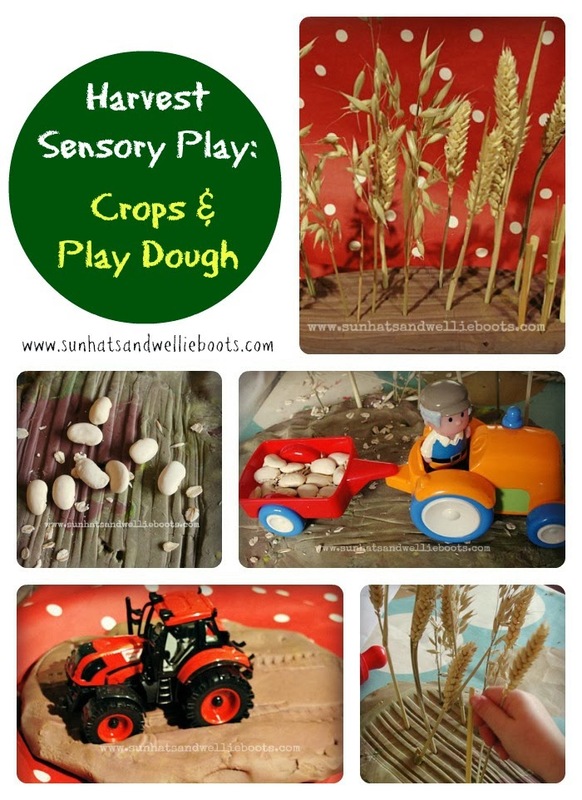 This is a great activity if you have a variety of coloured play dough that's become a little mixed! We blended our various play dough together until our colours became a nice muddy brown colour! Of course, you could just use brown play dough. 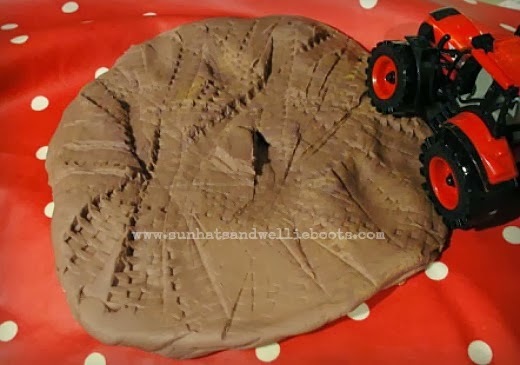 First, we explored our newly made farm play dough with a tractor, which was a great way to discover the imprints & patterns created by the tyres. 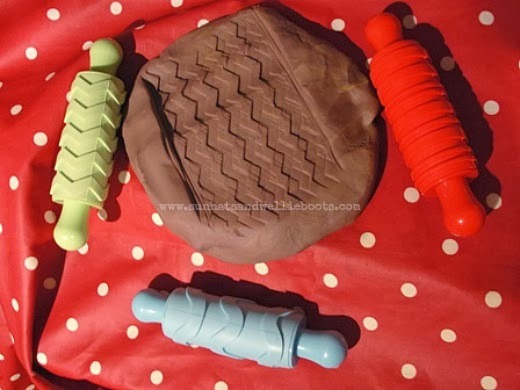 Then using paint/dough rollers from the Early Learning Centre, Minnie rolled patterns into the dough. We chatted about the tractors & ploughs we had recently seen on nearby fields, & what the fields had looked like after ploughing. 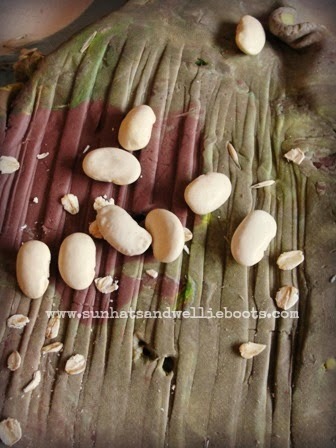 Minnie then ploughed her 'field' with a roller & sowed her crops (butter beans & oats). Later she added oats & wheat to the dough. I love adding natural objects like this to small world play, they're great to explore & encourage so much imaginative play. 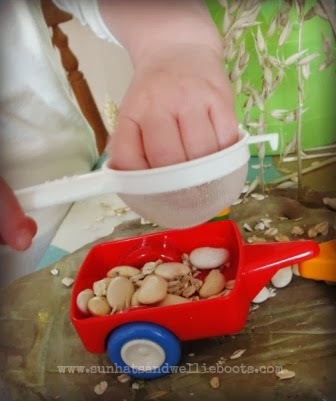 This set up has been great for exploring textures, the natural world, seasons, & food, manipulation of small objects, creativity & imaginative play. 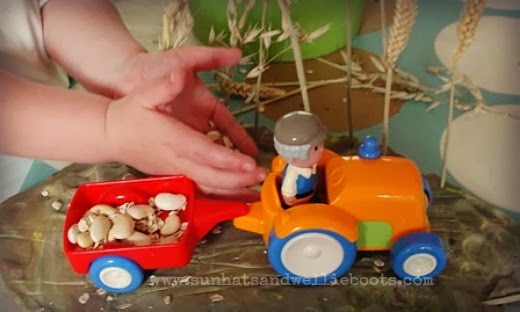 Minnie has returned to this several times, & talks about farming & harvest alongside her play. 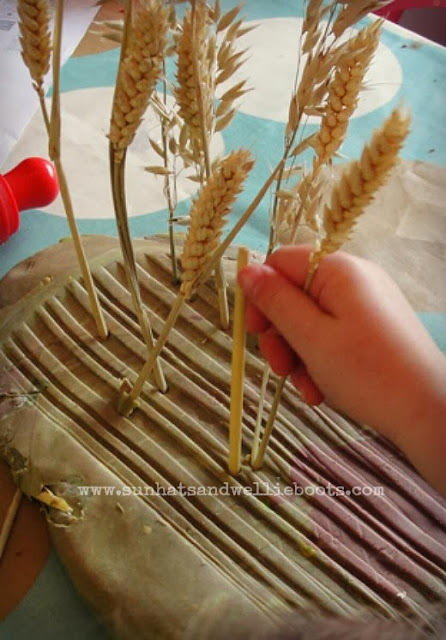 I also used this recently as an activity for our toddler group & it proved to be a big hit there too. The children loved planting & harvesting the wheat & oats with the play dough, & took such great care as they did so. 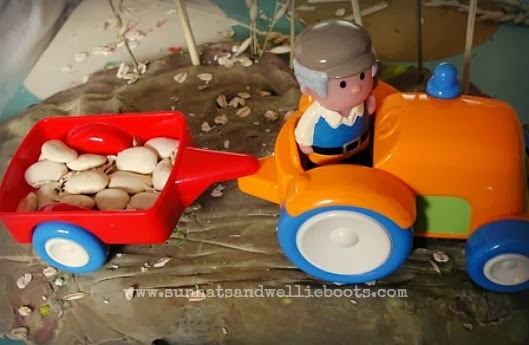 My little farmer is still ploughing & planting, I wonder what crops she'll be growing next? 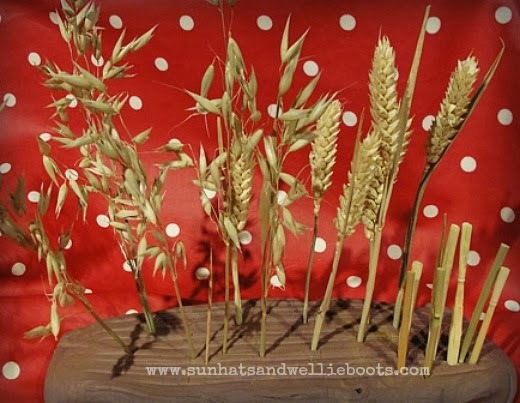 Looking for more Harvest activities? 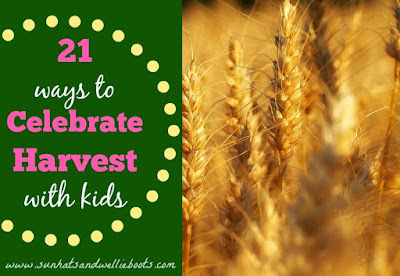 Check out our 21 Harvest ideas for kids to explore.